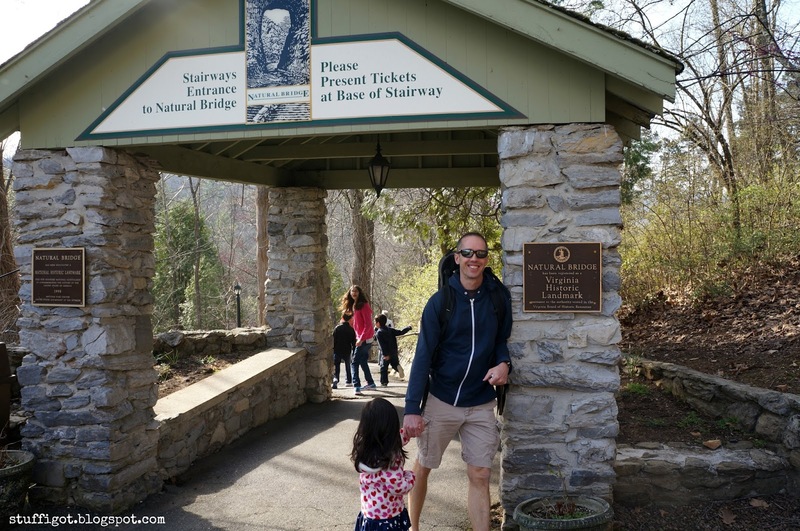 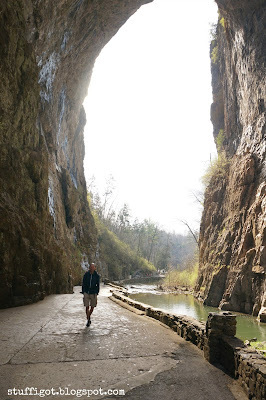 A couple months ago, we had a chance to take a little road trip out to Natural Bridge, VA. We had visited the area about 7 years ago and had always talked about going back. 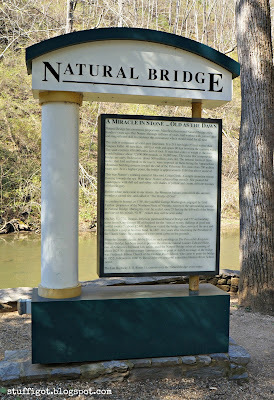 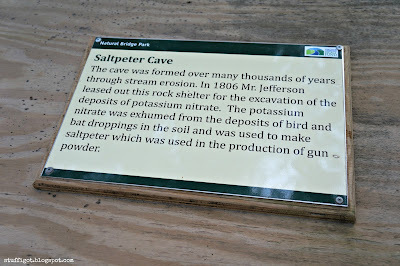 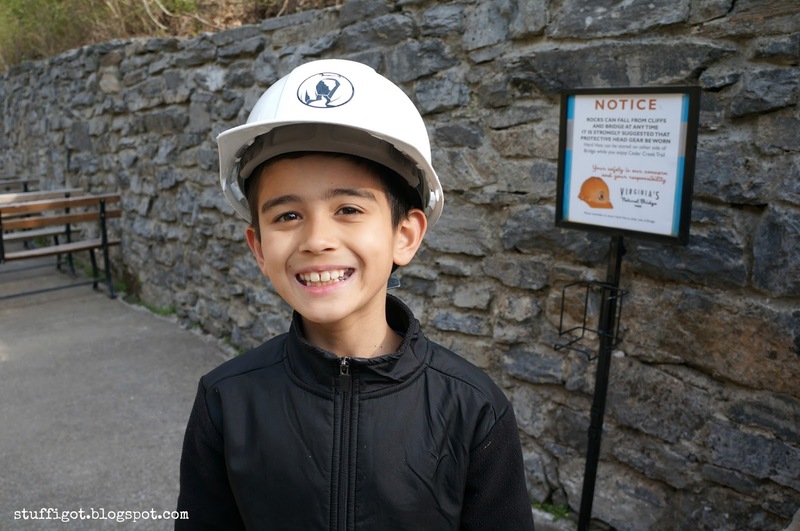 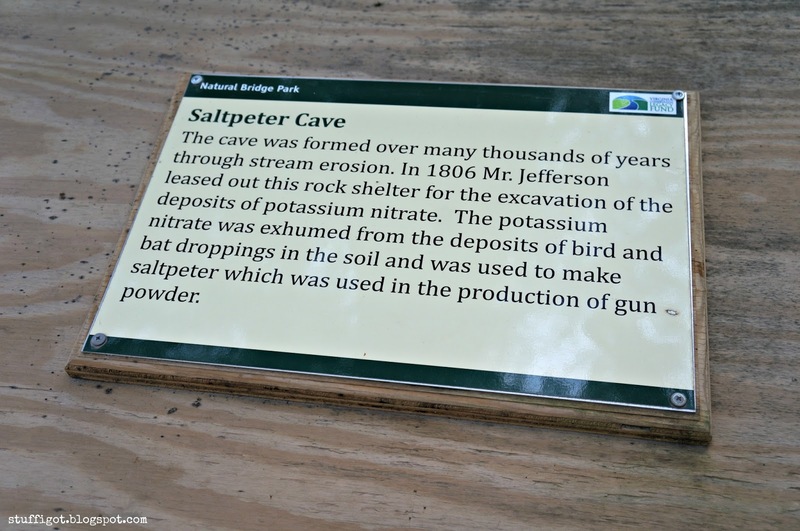 While we were there, we visited the Virginia Safari Park (you can read about our visit here) and the Natural Bridge Park. 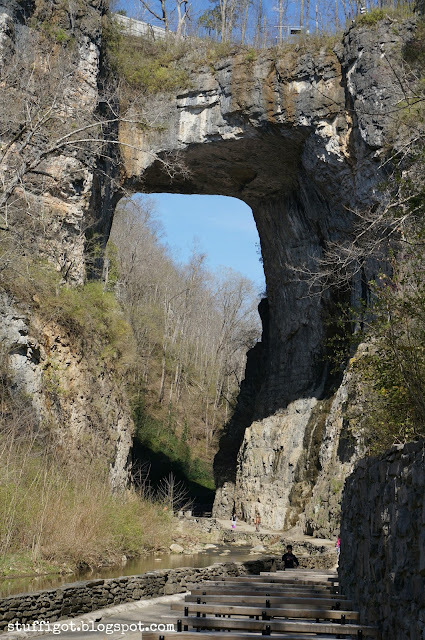 Natural Bridge is one of the oldest tourist destinations in the country. 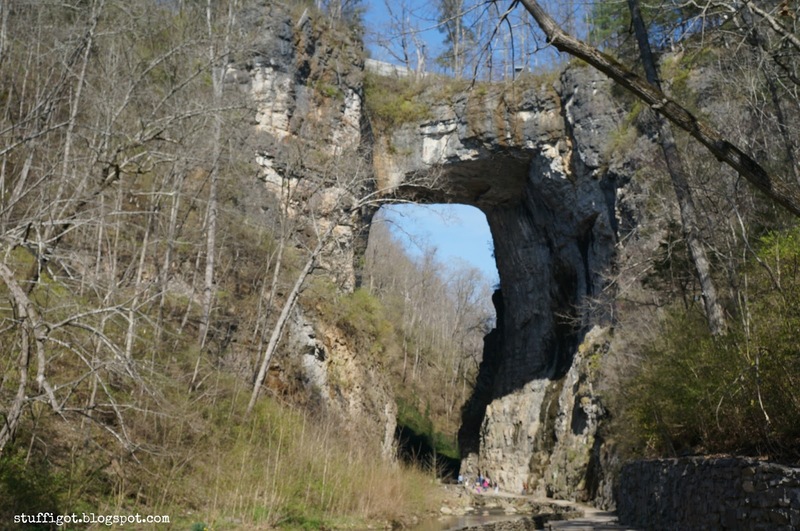 The Natural Bridge is believed to have been formed when a cavern collapsed and left the span that stands today. 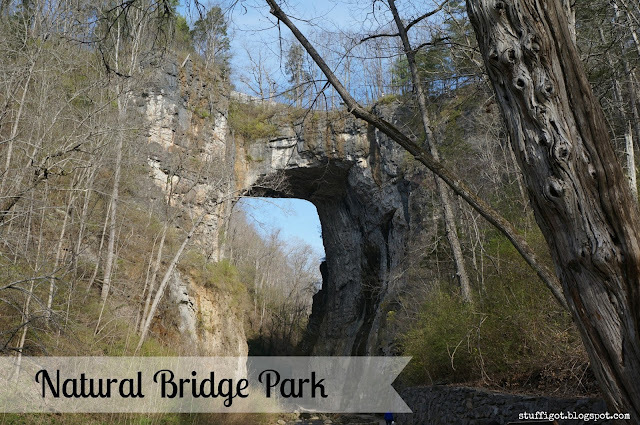 Virginia's Natural Bridge Park & Historic Hotel are a little less than a four hour drive away from the Washington, DC area. We stayed in Lexington, VA, which was about a 15 minute drive away from Natural Bridge. When you visit, you have the option to either purchase admission to the Bridge or the Caverns only, or you can purchase a combo ticket. We elected to do just the Bridge. To access the Bridge, you park at the Rockbridge Center and Gift Shop. 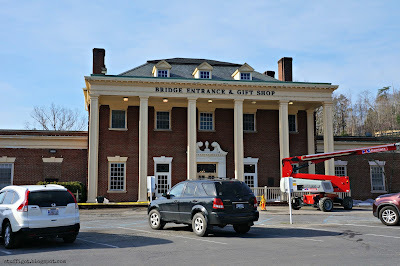 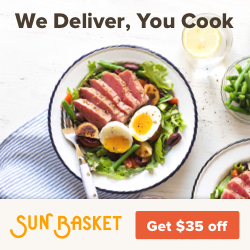 Here, you can purchase tickets, grab a bite to eat, and buy souvenirs. 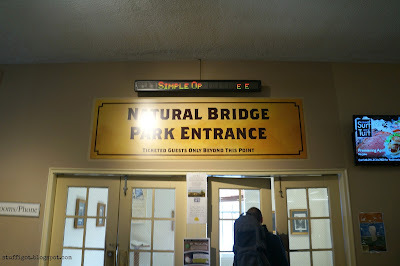 After buying our tickets, we made our way down to the entrance to the Natural Bridge. To get to the Bridge, you can either take the 137-step pathway down or you can ride a shuttle down. 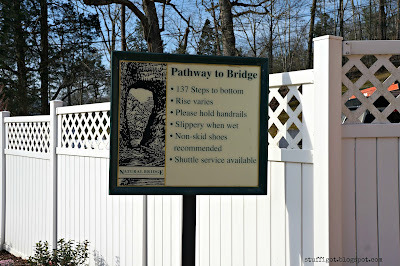 We used the pathway. The older kids wanted to beat us down to the bottom, so they wouldn't stop here for a picture. It's an easy walk down with a lot of great scenery. It was pretty day to be out. 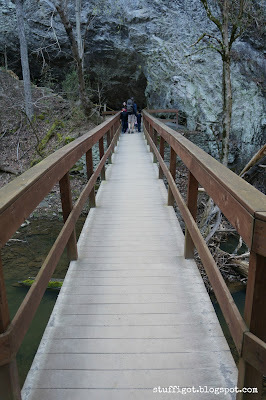 From the bottom of the stairway, it was a short walk over to the Bridge. 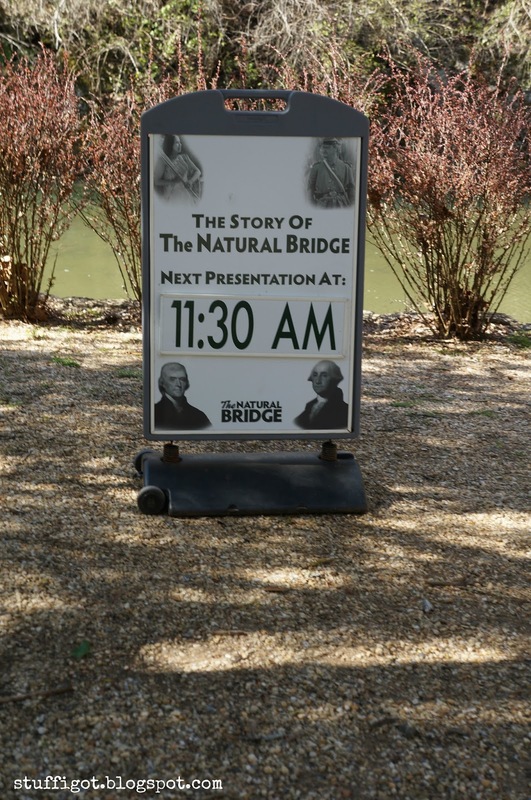 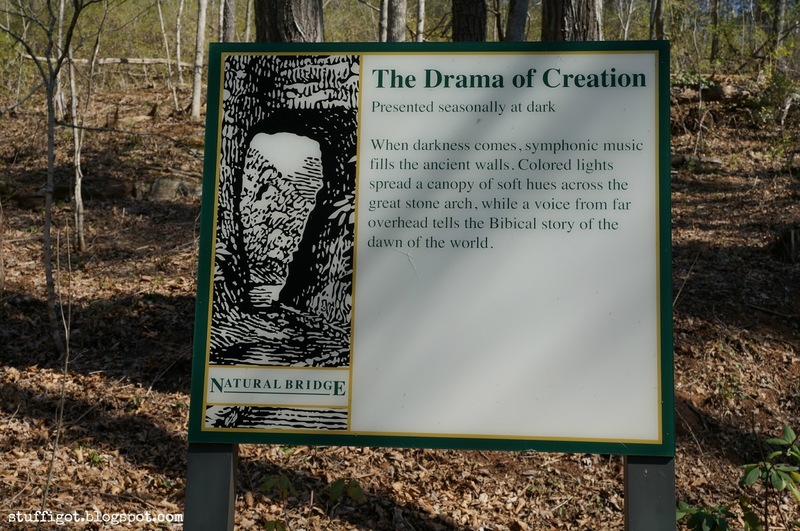 We didn't get a chance to catch it, but they do a presentation where they tell the story of the Natural Bridge. 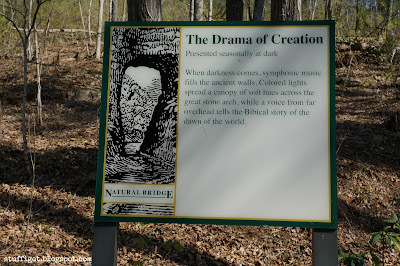 Also, at night, they do a color and light show called the Drama of Creation. 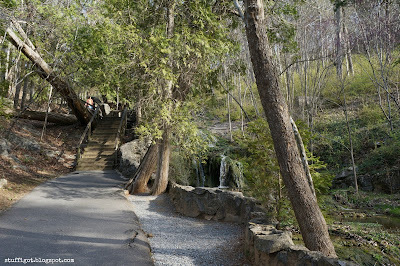 While walking near the Bridge, there is the risk of falling rocks. 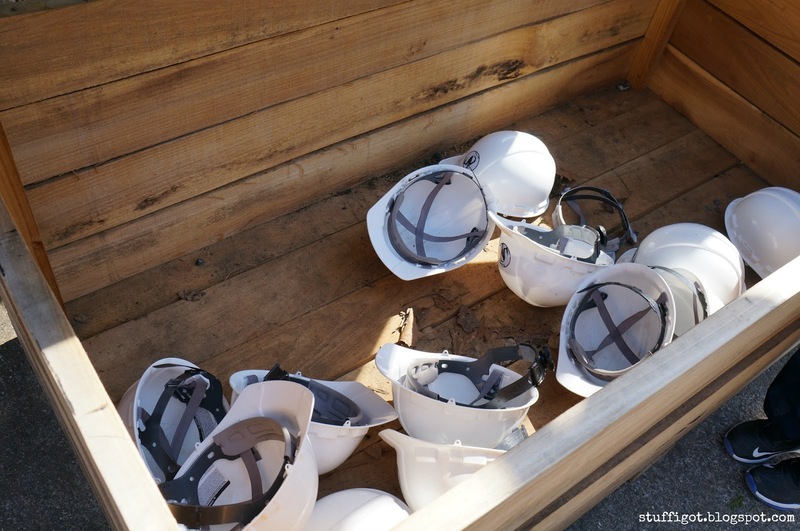 They have hard hats available, though, if you want to wear one. Just beyond the bridge is one of the hiking trails at Natural Bridge Park, Cedar Creek Trail. 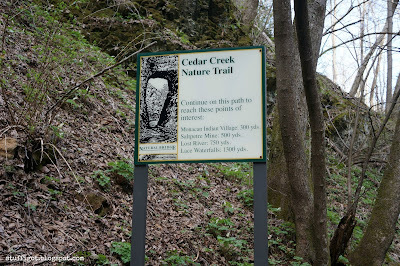 The trail is about a mile long and ends at Lace Falls. 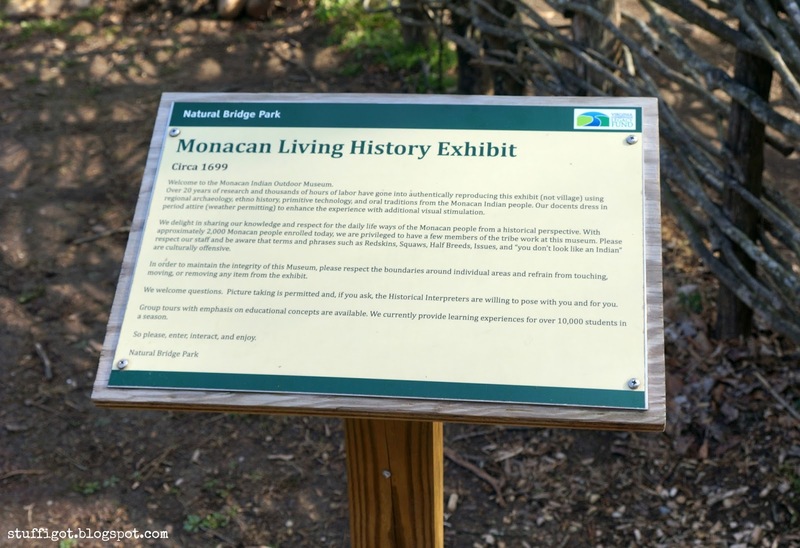 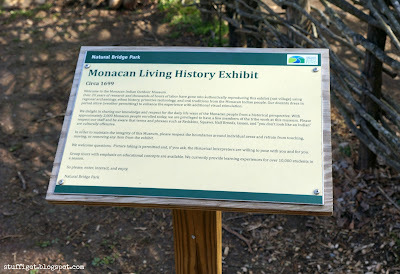 Along the way you can visit the Monacan Indian Living History Exhibit, where you can see what it was like living in an Monacan Indian settlement. It was really interesting. 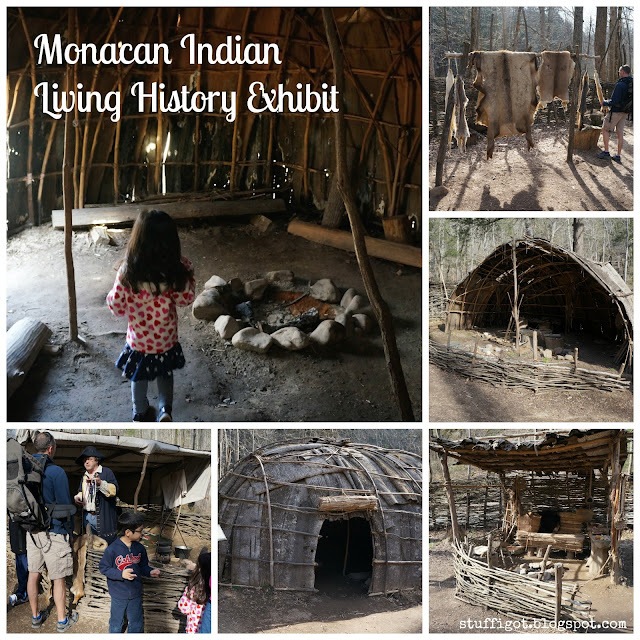 The kids enjoyed touching the different animal pelts and the different housing structures. One had a fire burning in it and they called it the "Stinky House." 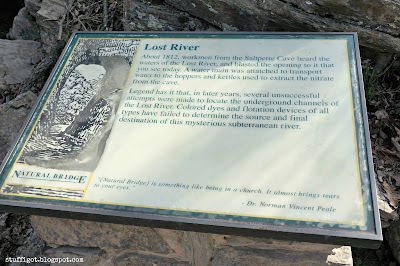 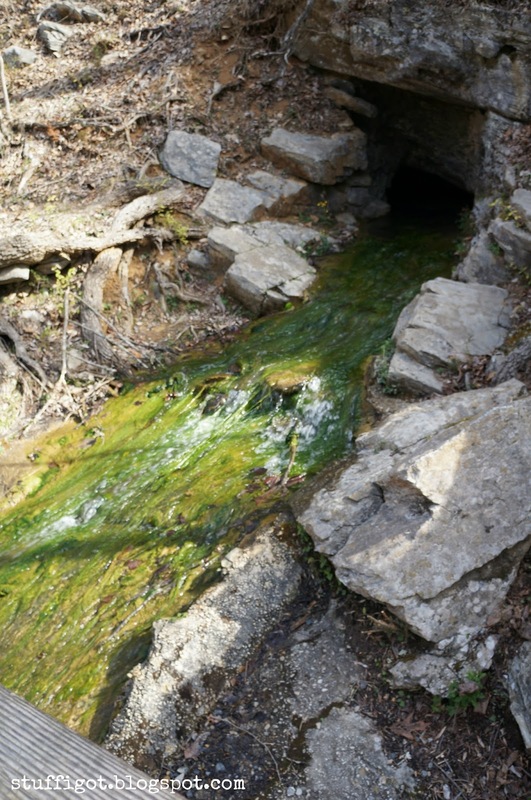 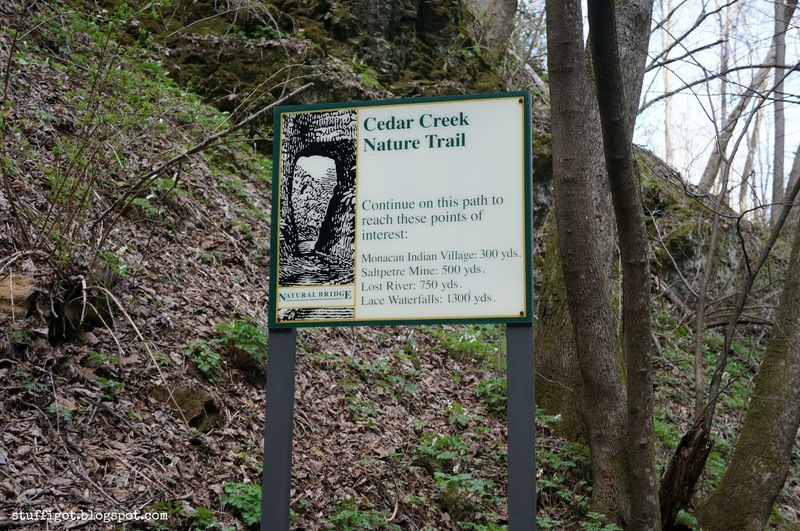 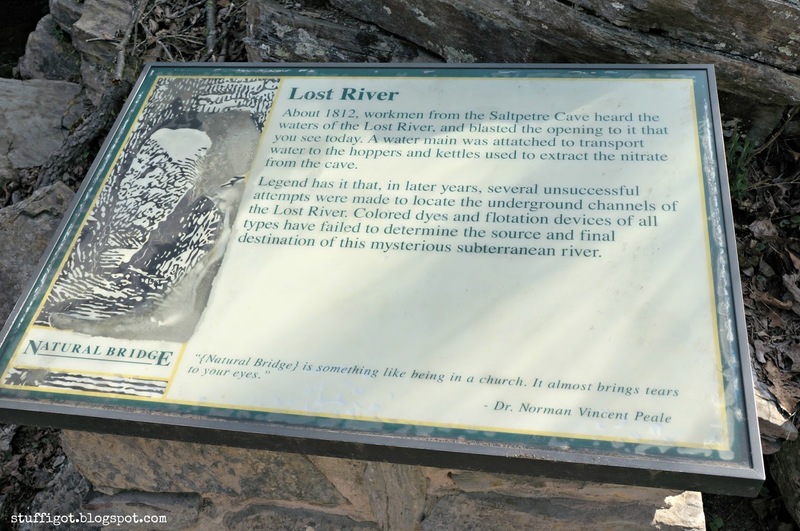 On the Cedar Creek Trail, you can also see an old saltpeter mine and The Lost River. 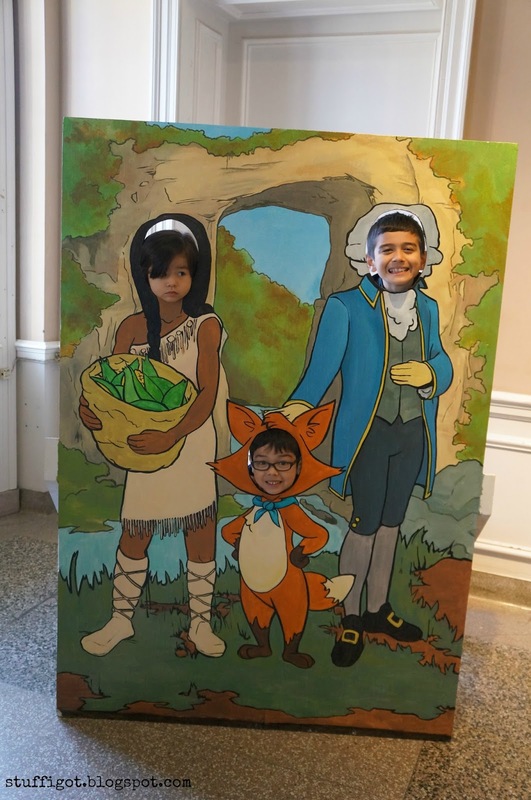 We had a nice visit and hope to visit again soon.